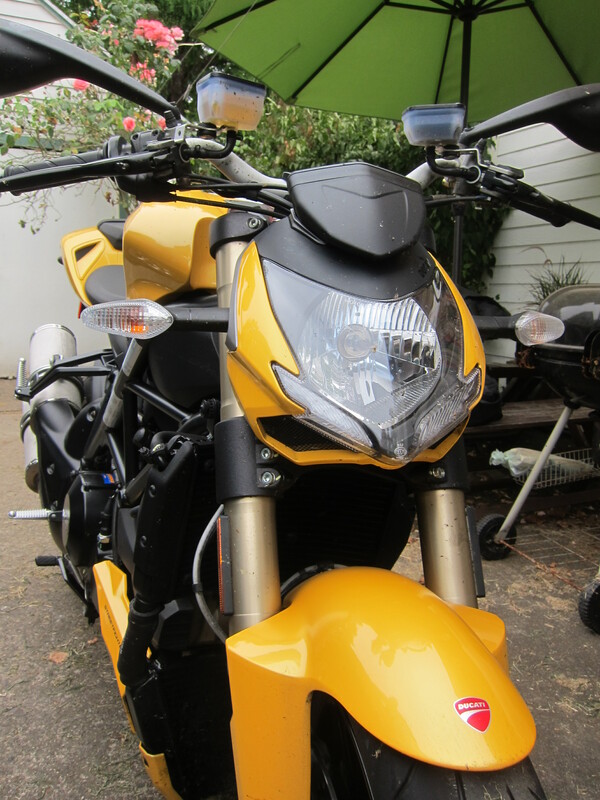 The list of lame excuses to ride the Yellow Hooligan Machine goes on. 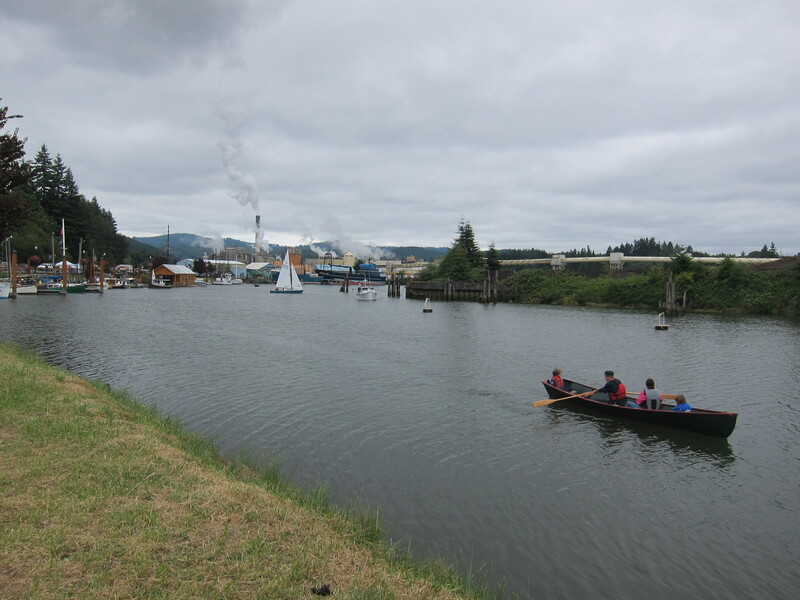 Whether it is a cup of coffee 100 miles away in Sisters, an Oyster farm in Winchester Bay, or a bowl of Manila Clam Chowder in Yachats, anything goes. 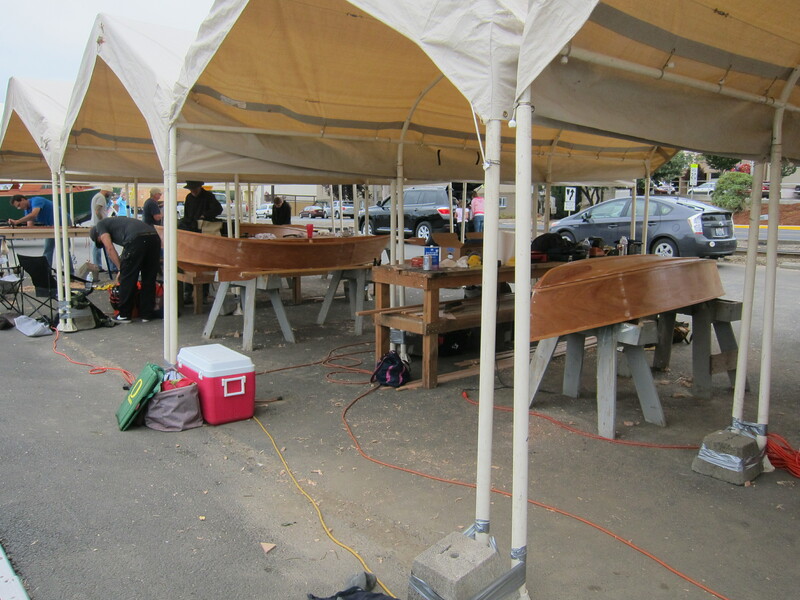 But a Wooden Boat show in Toledo? 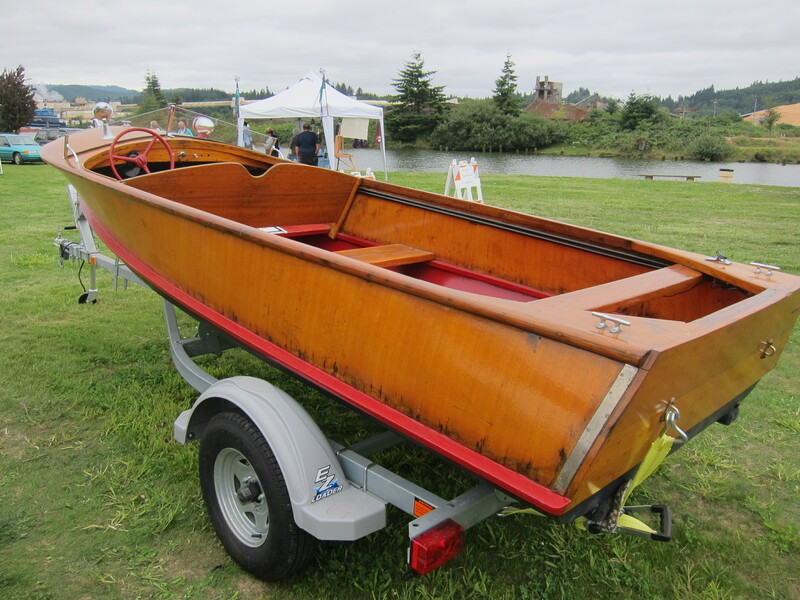 It will have to do as an excuse even if I have never had a wooden boat and will never have one. 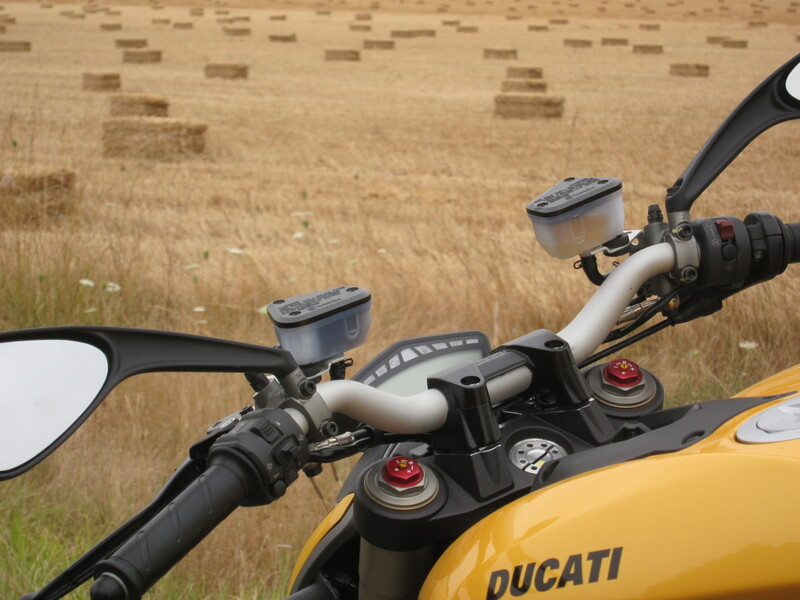 But that Ducati was calling me for a ride and it was already pointed towards the road, so I better take care of it. 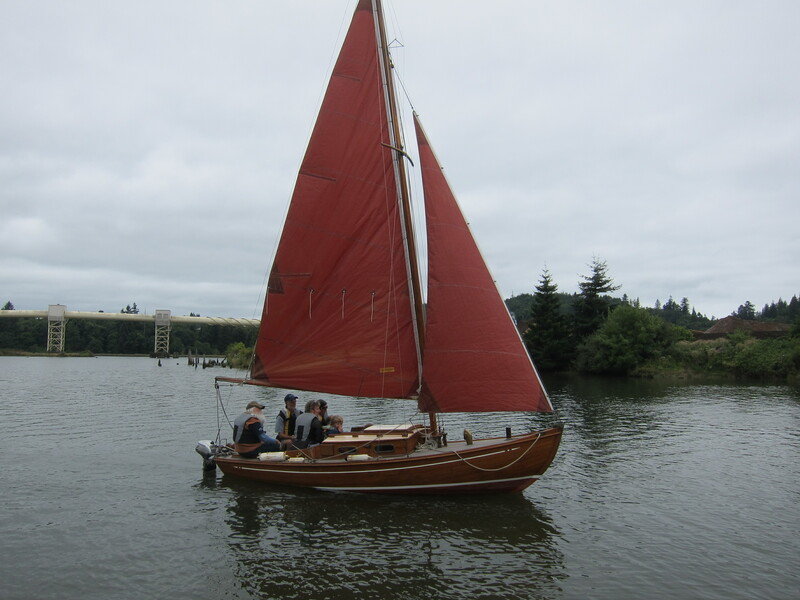 I once had a boat, until a couple if years ago as a matter of fact. 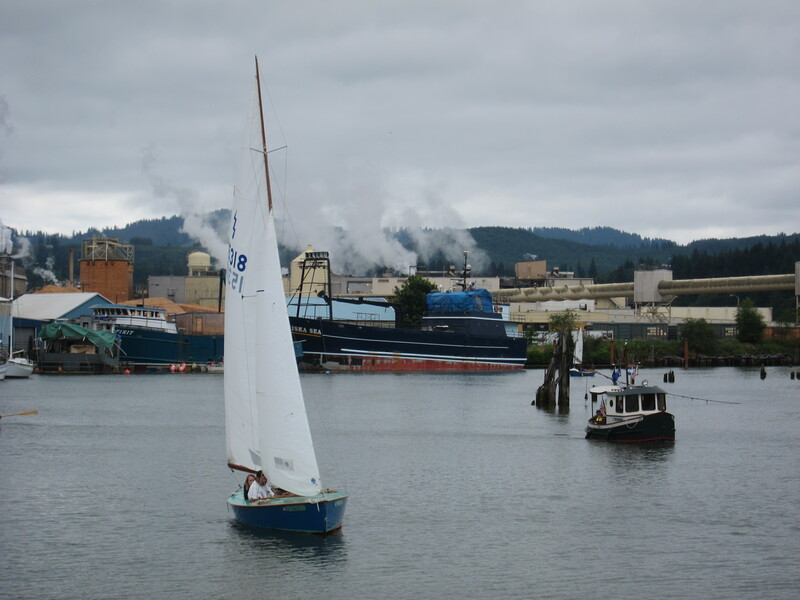 But it was a fiberglass boat (you can read that story here: “I’d rather be sailing?”). 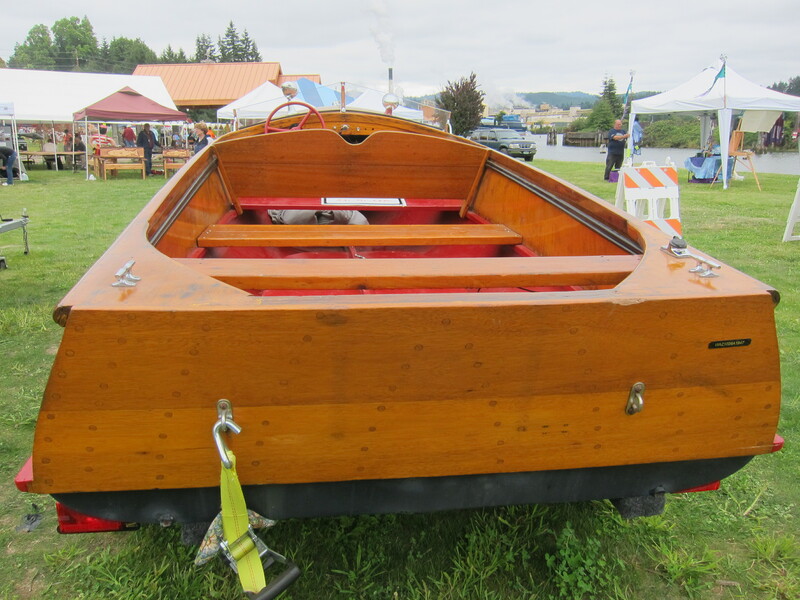 And I have two friends who are into wooden boats. 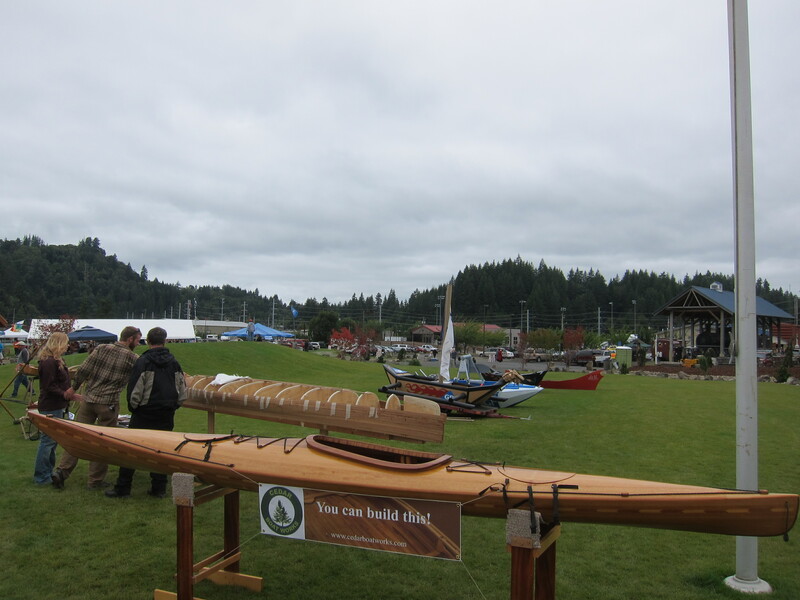 And they both build and work on wooden boats as a hobby. After all it was not too lame of an excuse this time. I was actually looking forward to seeing the boats, what I could possibly find in Toledo. But the Ducati was the center piece of the day. 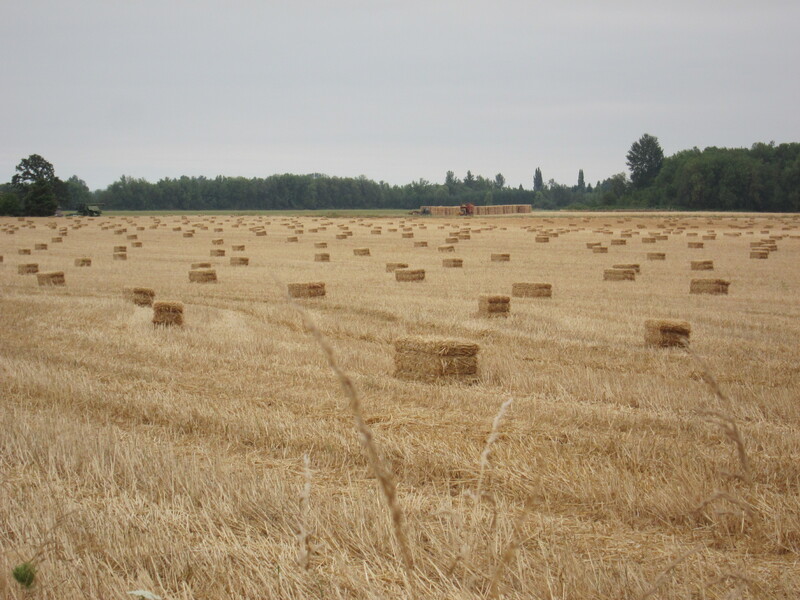 As I take the roads on my usual way out of town, I could see the farmers had been busy working on the hay since the last time I was here. In fact, the whole valley smells of dry grass. Anyway, it is the smell of the end of Summer around these parts when we are more than half way of the dry season in the valley. 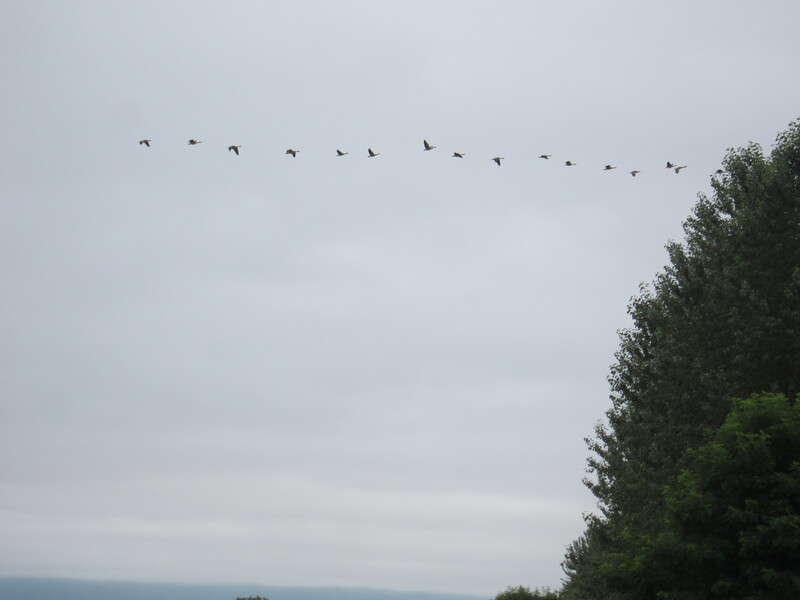 And just as I was taking these pictures I heard the migrating ducks above, I look up and there they were, on a clear formation, flying south already. That is another sign of change. Farther down the road, after I connect to Territorial, here we have corn getting ready as well. It is already taller than me. That’s one thing I like about the Willamette valley, it has a lot of agricultural activity, which reminds me that once I was an Agricultural Economist. 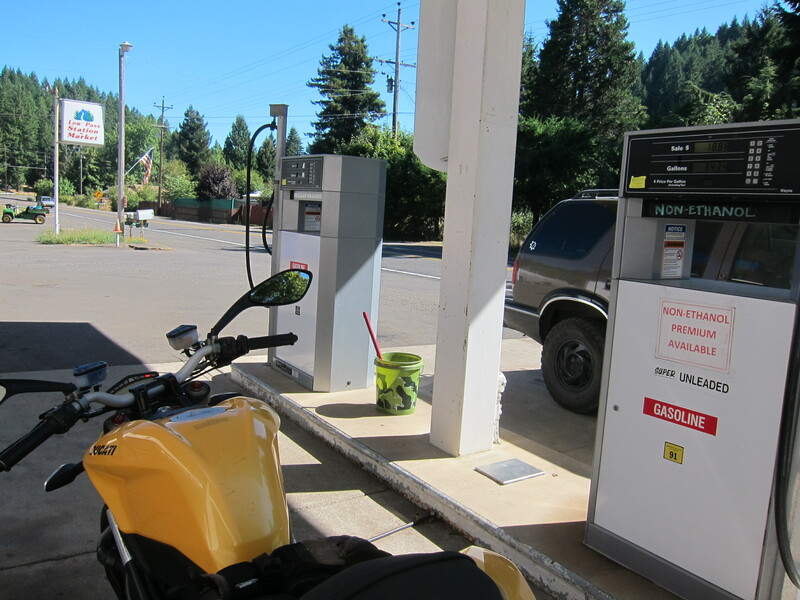 I stopped for gas in Philomath and came across yet another gas station with a non-ethanol pump. 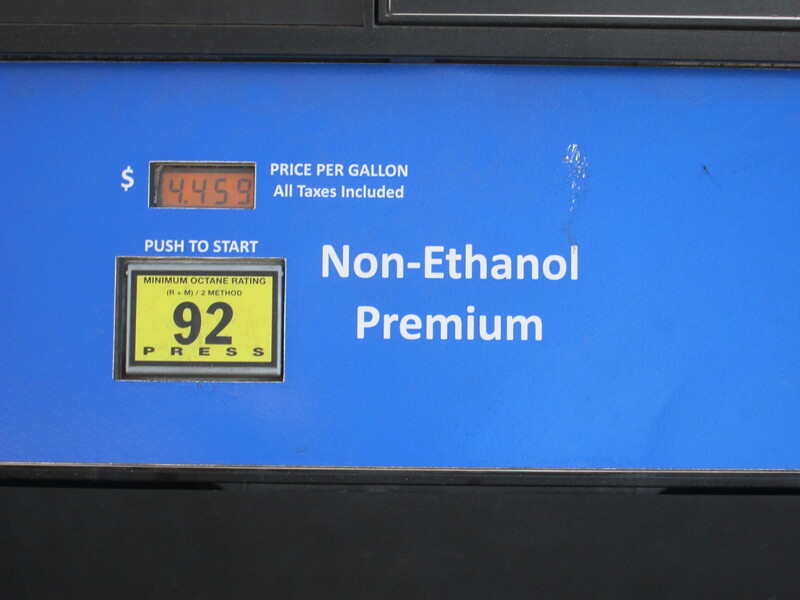 It is interesting that I found this non-ethanol gas station just after going by corn fields. 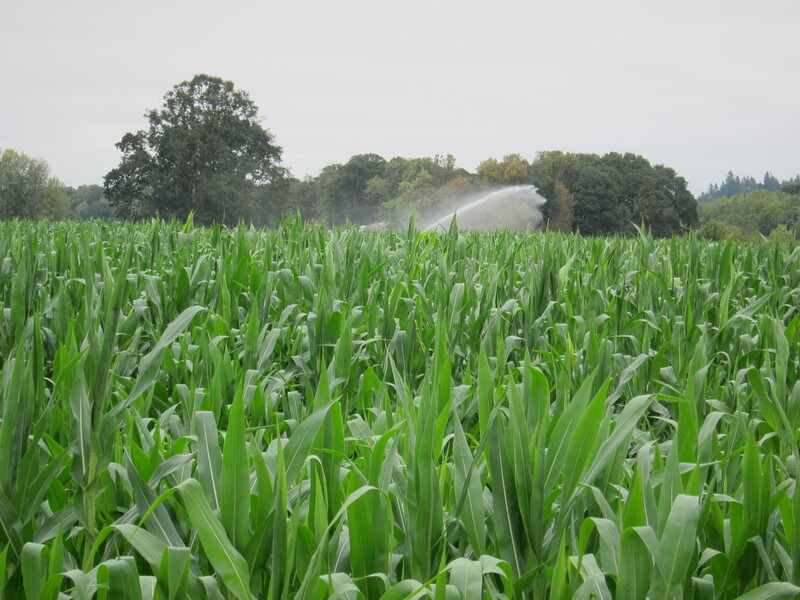 I will prepare a post about corn, ethanol, and the controversy building up as the nation’s drought impacts corn production. I will post it when the rain and cold will reduce my riding time so I can use my free time to research. 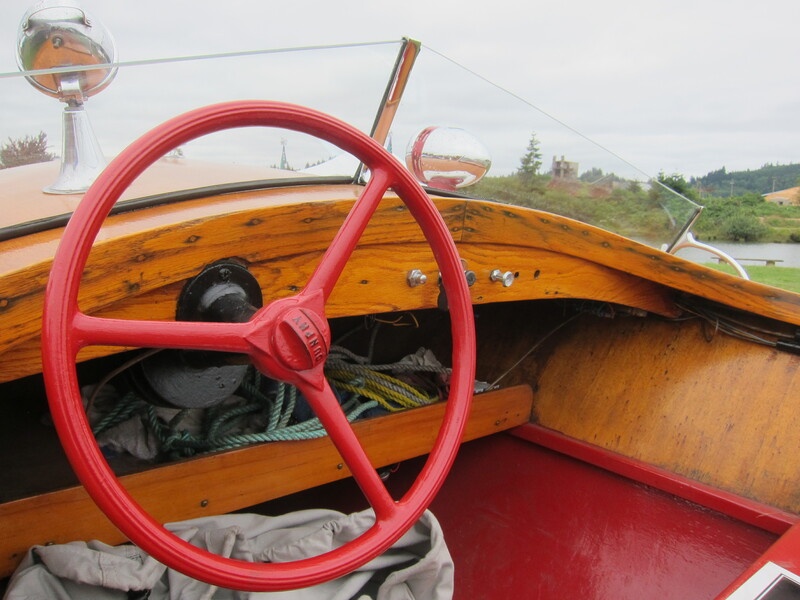 For now, let’s go back to the wooden boats and the Ducati. 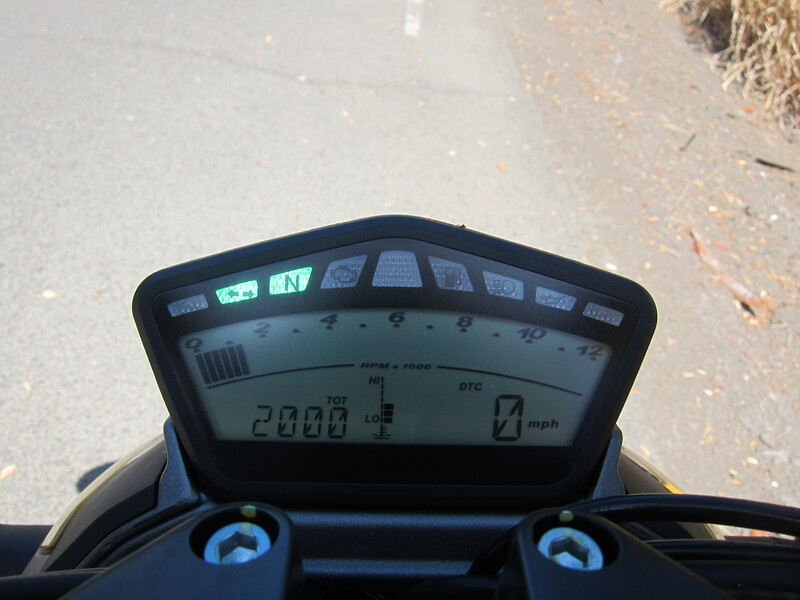 It was with those thoughts in mind that I realized the machine was just turning 2,000 miles old. So I stopped for the documentation. This machine has become very smooth now. 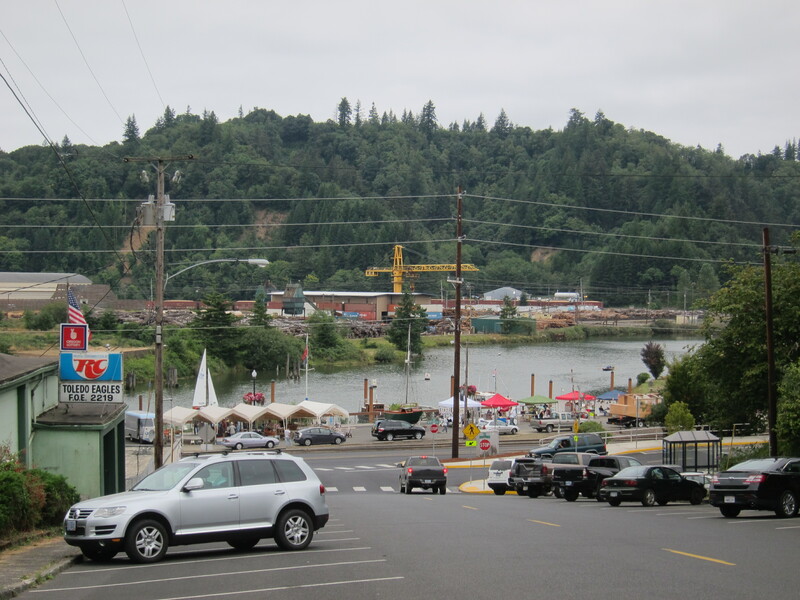 Soon I was in Toledo, Oregon, which is just east of Newport, by Hwy 20. As I was taking this picture of the river some locals were coming back from the boat show and said: “now you come back to Toledo, ok?” This was actually my second time to Toledo, OR. I said I would be back. 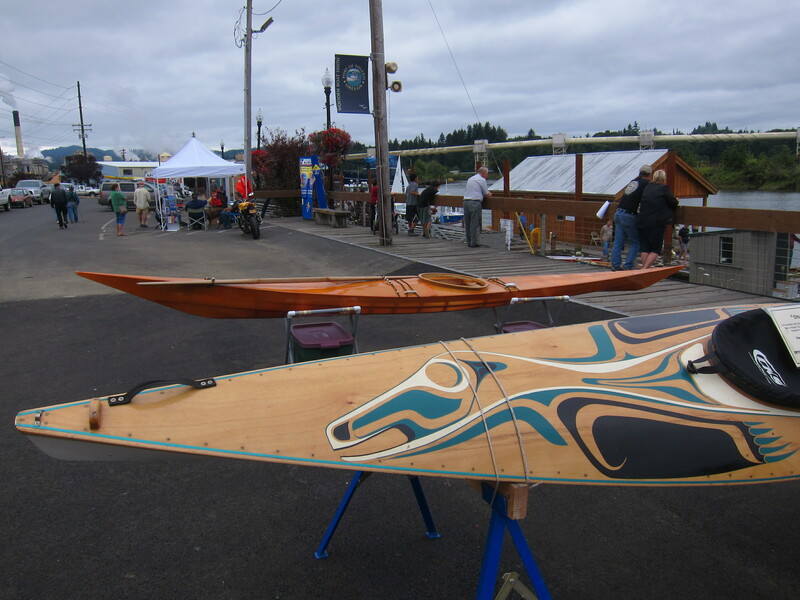 And I will be back either for next year’s wooden boat show or as a stop on my coast loop. There weren’t many boats on this show. But there was a good variety. 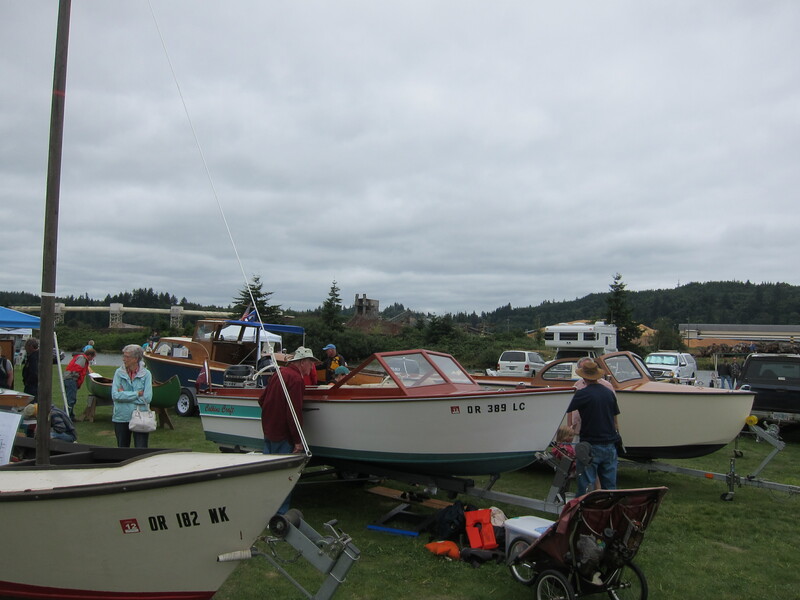 Here are a few shots of boats on the show. 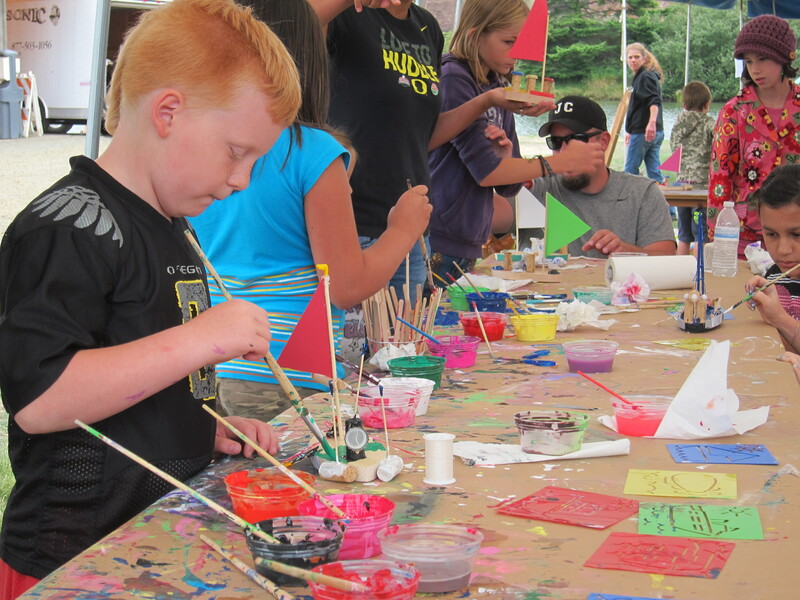 Kids had a chance to build their own boats. And the adults were playing as well. 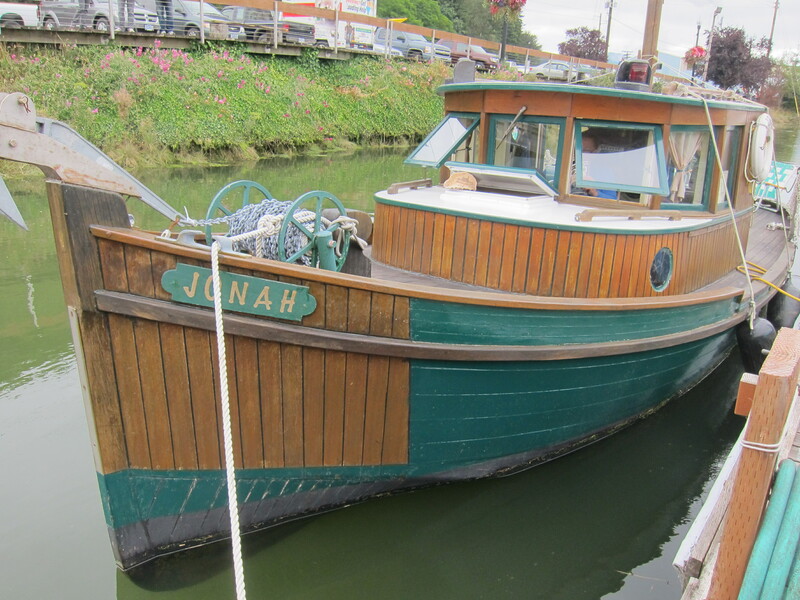 But this was my favorite boat on the show. 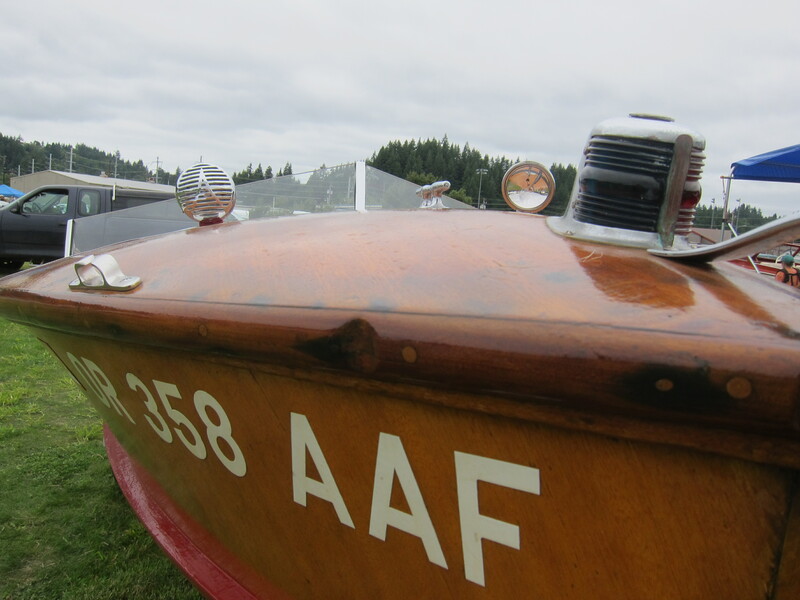 A 1947 Dunphy. 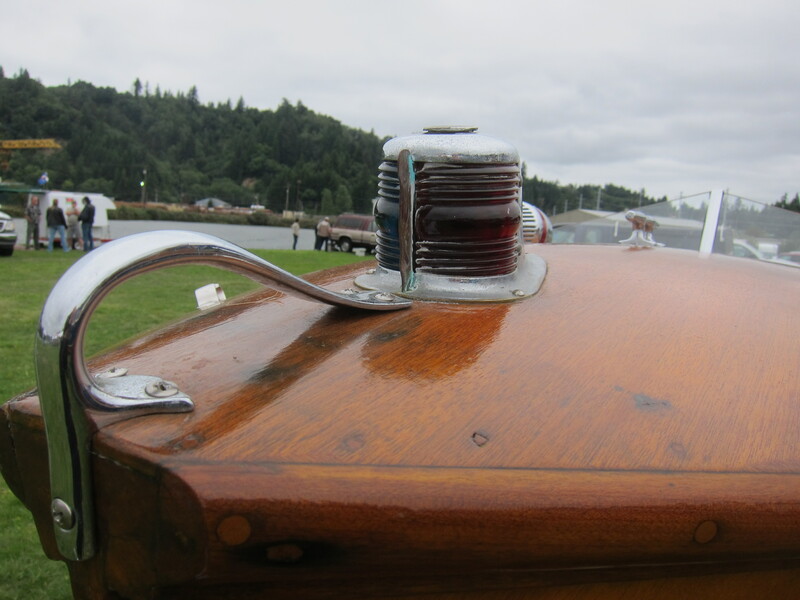 Too bad the camera’s flat dimensions do not capture the classic curves this boat has. 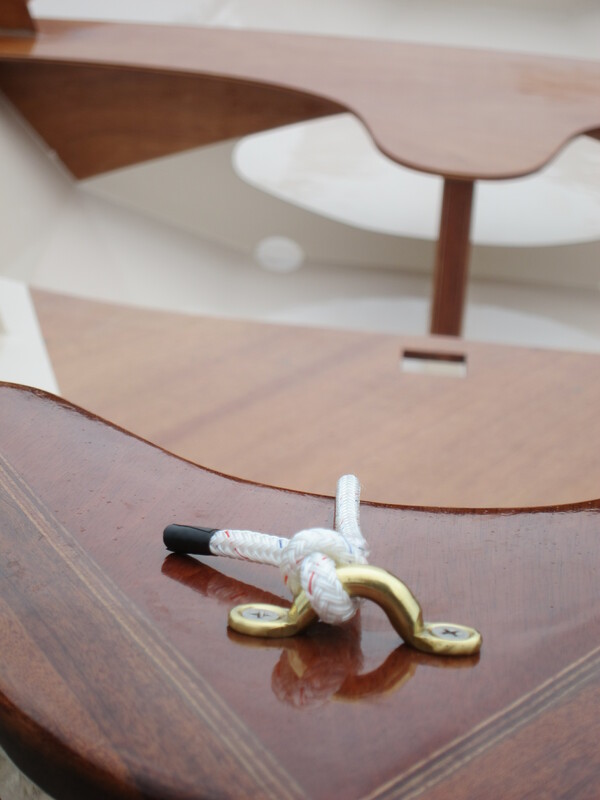 It is not a Riva, but if I were really into boats, I would not mind having something like this. 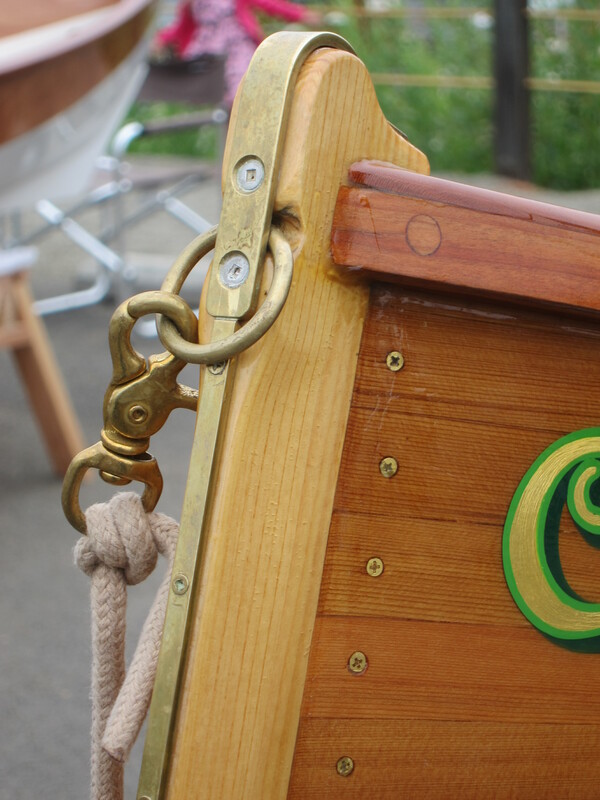 The lines and curves of this boat, which are not captured too well on these photos, are from a time where they were probably the most beautiful in this type of boat building history. Seeing this boat made this stop relevant. Time for me to get going. I made my way to Newport and traveled south on Hwy 101. 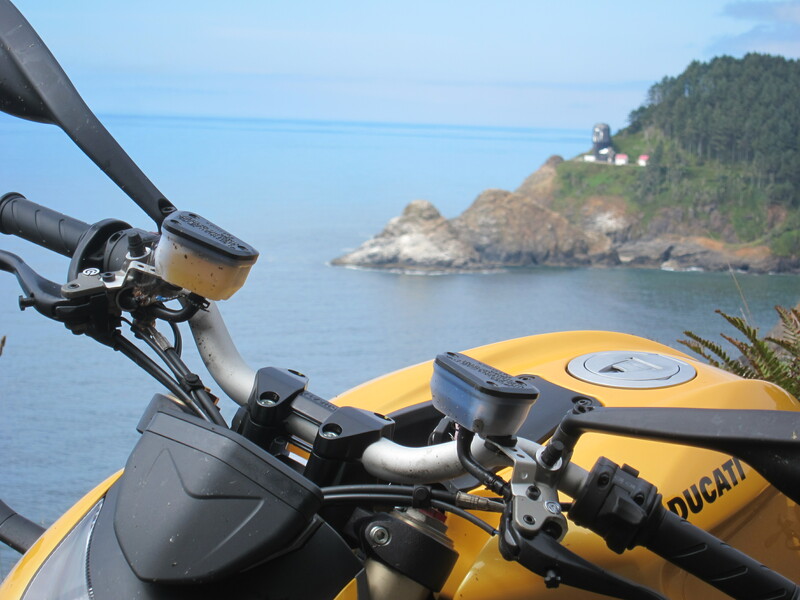 I had started this day ride late and had a nice dinner waiting for me at home, so I only stopped at the Heceta Lighthouse. All along the coast, this time the winds were practically non existent. I don’t think I’ve ever seen the Pacific so pacific. No winds, no waves. It looked more like a lake. 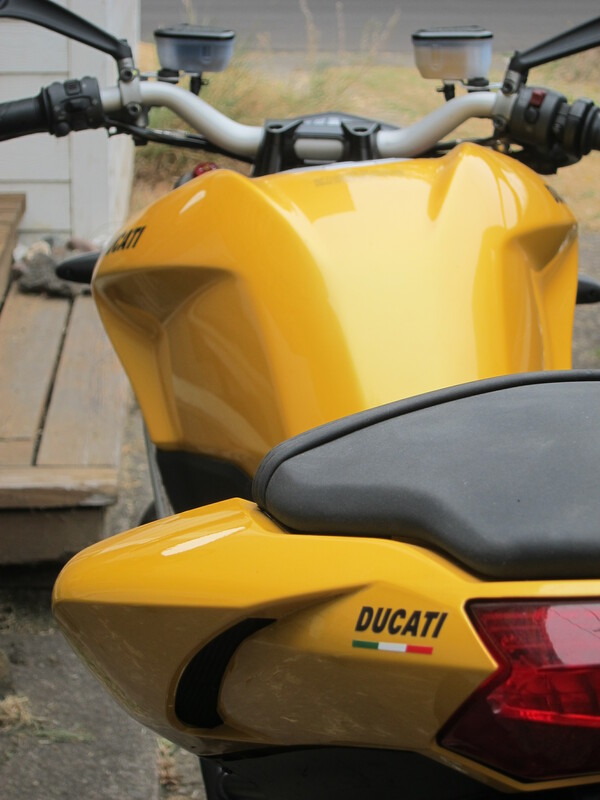 The Ducati wanted another photo. And I indulge. 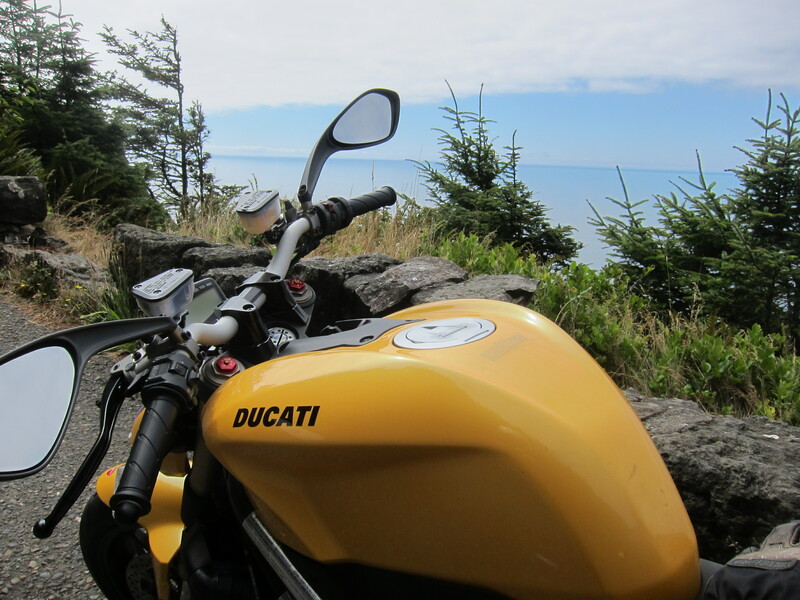 The beautiful Ducati and the beautiful coast. I went south towards Florence, made my usual left turn towards Mapleton, passed by the non-ethanol gas station in Mapleton (and it was open today, as opposed to last Sunday) because I now know about the Low Pass Station and Market and that they also have non-ethanol gas. Total miles for today’s loop was 224 (360km). 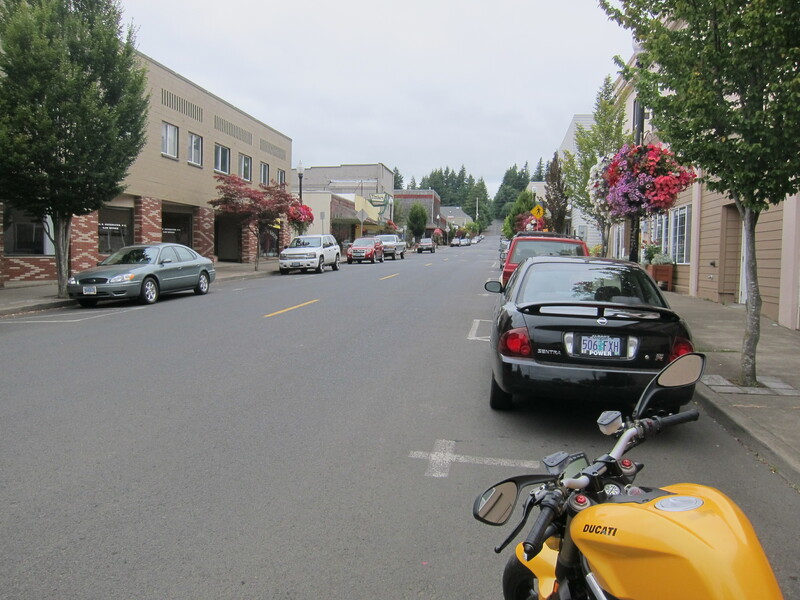 Next post is going to be a report of the Cycle Parts (Triumph shop in Eugene) organized ride to the Steamboat Inn. 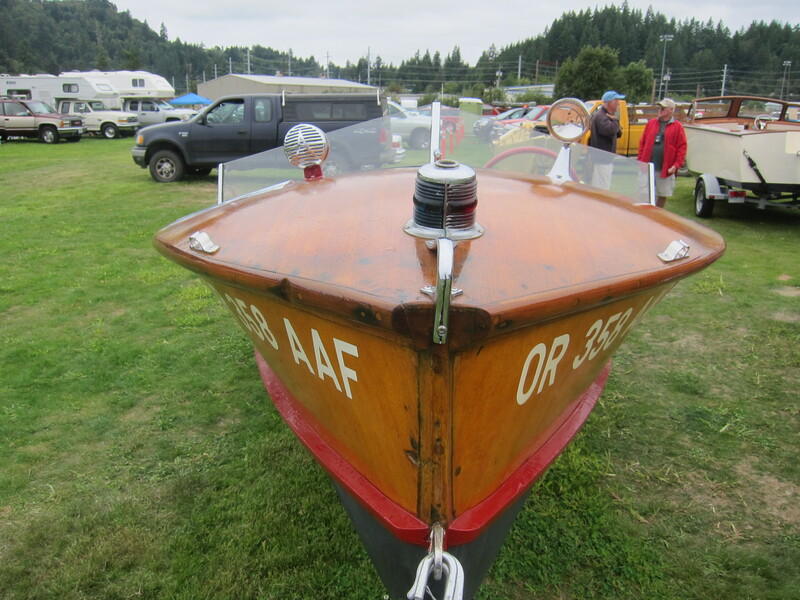 This entry was posted in Riding the Ducati and tagged Ducati, dunphy, oregon, toledo, wooden boat show. Bookmark the permalink. I’m starting to recognize that gas station. You were just there on your dual sport. 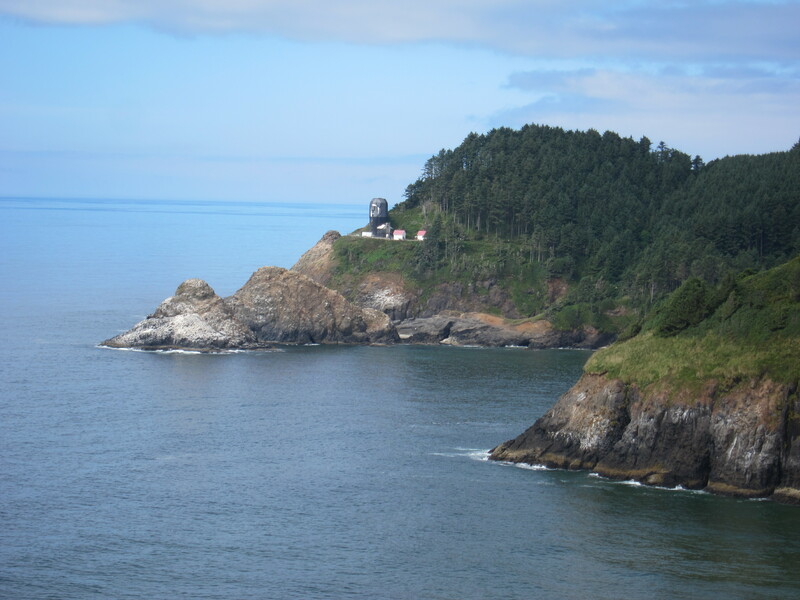 I wanted to stop at that Heceta Lighthouse pullout but I was heading North and there was too much traffic coming, and also lots of trailers taking up the space. 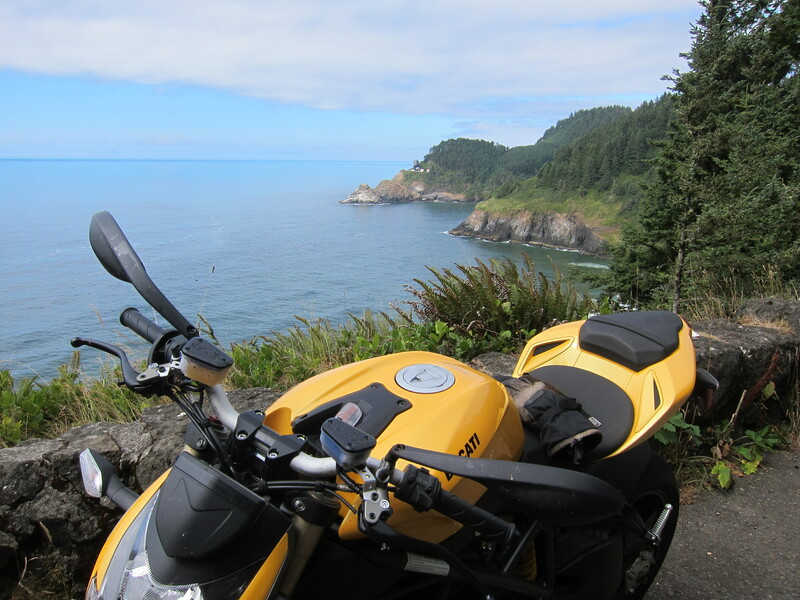 I must have gone through Toledo but can’t remember as I have ridden Hwy 20 from Corvallis to Newport. I am not sure yet, but it is possible I may be at the Ona on Sunday Sep 23rd for lunch. Maybe see you there. Yes, the Low Pass gas station is the same one where we stopped on my previous Sunday’s report when I was riding the Yamaha. If the weather is good I will make sure I stop by for lunch at the Ona Restaurant on September 23rd. 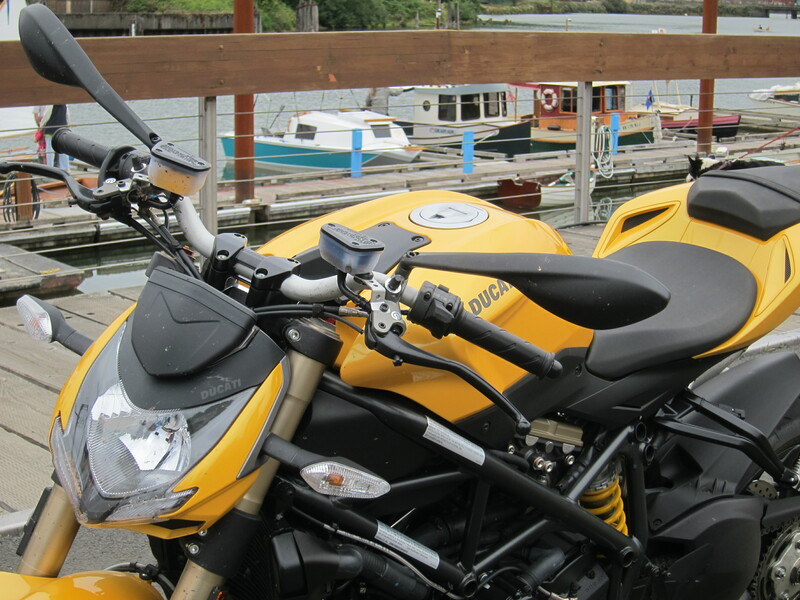 Beautiful boats, but I still think I prefer the beautiful Ducati. I thought the picture of it in front of the corn was my favorite pic of the post, that is until I saw it against the ocean in the sun. Such a nice machine you have. Brilliant pics as usual, Cesar. 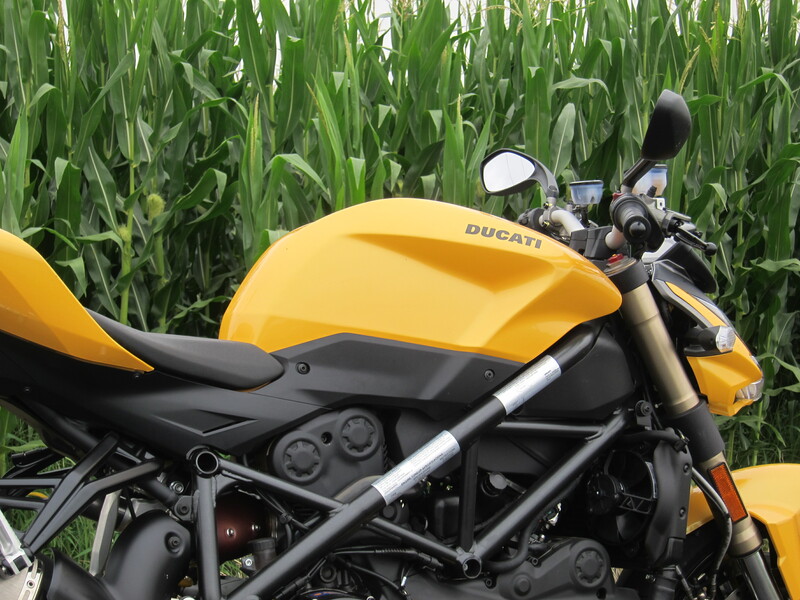 I have to admit I like your Duc outings the most. That bike is something else Sonja. And I miss riding it already. 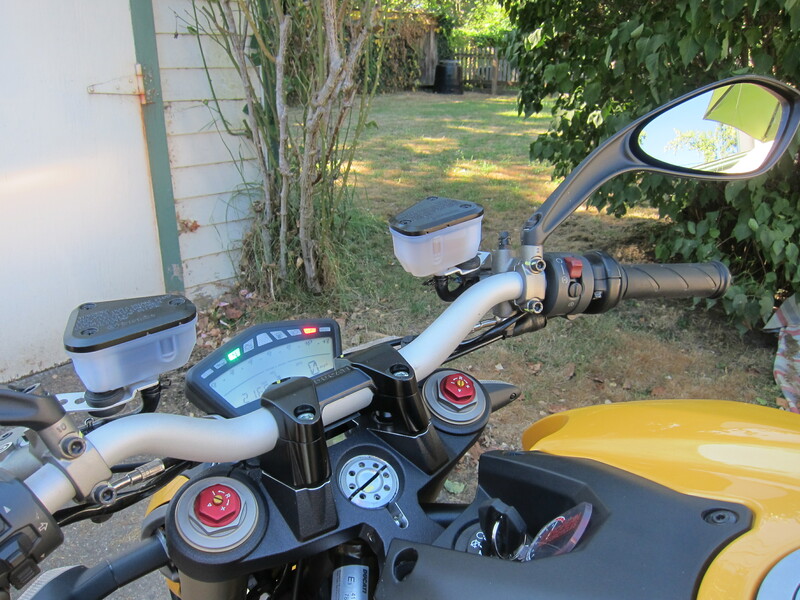 Last week I rode the Triumph, which I have to admit, it was a lot of fun. But that Yellow thing calls for my attention. Thanks for reading and for the compliment on the pics. But it was not me, it was the Ducati’s doing.